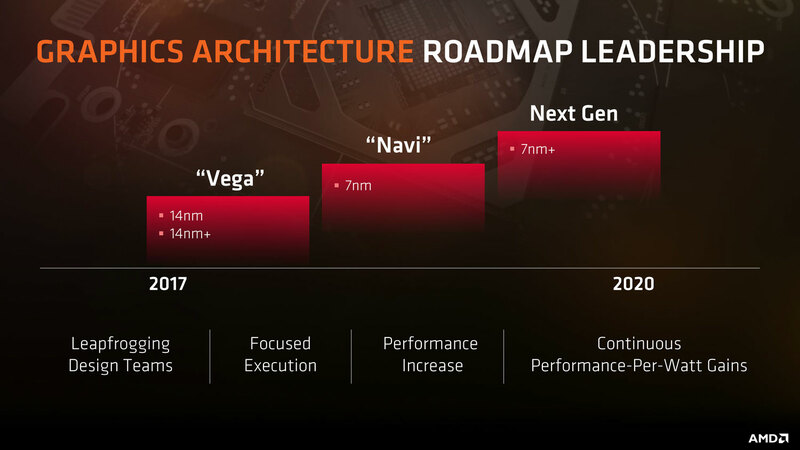 Navi is AMD's long-awaited, hotly-expected, but likely mid-range next-generation graphics solution that is mostly expected to turn up in the first half of 2019. But AMD has flipped that idea on its head. Not in terms of the release date or its naming, but in its claims for performance. AMD believes Navi will be able to take on Nvidia at the top end right out of the gate. AMD has been far behind Nvidia at the top end of the performance spectrum for a good number of years. The Fury X Hawaii GPUs and its Vega follow up, both with new types of high-speed memory were valiant attempts, but neither quite eclipsed Nvidia's offerings and certainly not so without a massive additional investment in power and cooling. But Navi, we're told, is going to change all that. AMD CEO, Lisa Su, recently stated that Navi would be “competitive in high-end graphics,” and that the company was “making high-performing quality products and building a solid long-term foundation," as per PCGamesN. She later commented that AMD would be "right in the mix," with top end graphics cards. Considering she said so after the RTX Turing GPUs from Nvidia were released, we have to believe she's expected to go toe to toe with those. But when all AIB partners seem to be suggesting that Navi will be more mainstream than that, how can we be sure AMD will follow through with a high-end option? What if it did what it's done in the past and combined a couple of Navi chips on a single board? Those GPUs are a little wonky, but AMD's 295X2 remained competitive with top-tier GPUs for years, so a dual Navi card could put some serious pressure on Nvidia. How do you think Navi could compete with the top Nvidia cards? I hope they are competitive. I hope they are competitive. Look what AMD has done for the CPU market over the last 2 years. No matter what camp you are in, things have only gotten better and/or cheaper. Competition in the GPU market can only be good for the consumer. I hope Intel gets a GPU horse in this race as well!